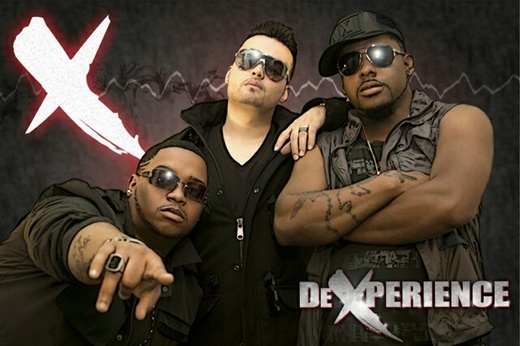 DeXperience is an Island Pop group that formed in the Lehigh Valley, Pennsylvania in 2008. The group is composed of dancehall vocalist J-Mal aka Jam Da Don, Hip Hop vocalist A.O. aka The Passion, and American/Latino vocalist Qbah (cu-ba) aka Mr.Rico. Since their collaboration in 2008, the group's fresh new Dancehall/Latin/Hip Hop-oriented style has given them major buzz at every stage they’ve stepped foot on. Jamal born and raised in the Virgin Islands moved to Pennsylvania at the age of 14 where he learned to blend the hip hop style of writing with a dancehall flow. A.O. born in Brooklyn, New York moved to Pennsylvania at the age of 13 bringing with him the love for hip hop's rhythms and energy. Qbah born in Pennsylvania but raised in both Miami and the Lehigh Valley was inspired to fuse the sounds of Reggaeton and American Hip Hop. They came together for a charity project called “Diamonds in The Rough” to help raise awareness and donations for children with Muscular Dystrophy. Soon after working together, they realized their chemistry together stimulated by their different backgrounds all offered a unique flavor that combined all three styles with an American Pop twist.